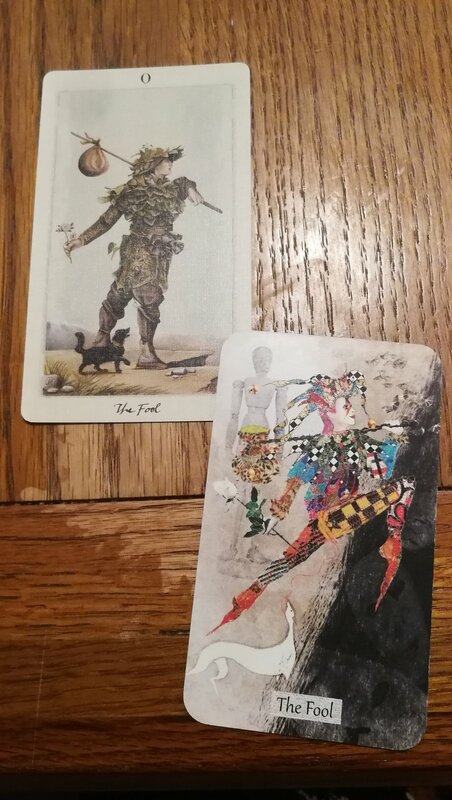 If you follow me on my personal instagram (shameless plug here) then you might have already seen that I’ve pulled my Tarot card for the year and as mentioned above - it is indeed the year of ‘The Fool’. Remember how I said in my last post that I didn’t want to jinx it?! Yeah I jinxed it haha. On one hand, I’m thrilled with the Fool - the Fool is potential, the Fool has trust in everything around them, in that things will work out ok. The Fool is curious and optimistic. On the other… the Fool takes risks, the Fool doesn’t seem to think things over, the Fool trusts their gut over their thinking, the Fool is naive and reckless. And that my friends is where the terror steps in. Right now my gut is literally intolerant to wheat, dairy, mushroom, olives and red kidney beans (random I know)… so metaphorically, I don’t trust it all that much - because my gut doesn’t want me to have cheese boards - what kind of gut is that?! BUT if you know anything about Tarot, then you know that it doesn’t do things the easy way, it does things the way they need to be done - which is ironic as my word for 2019 is EASE. But maybe, for things to be ease-y, they have to be right. And as much I hate to admit it - 2018 was a year of anxiety - and I do need to let go of that - I need go easier on myself, I need to ease my path - and maybe that’s by carrying less on the journey and having a little trust if the path goes in a way I wasn’t expecting. I also hate that I’ve already taken a risk with my uni work (I mean a calculated one, I’m not crazy - but I wouldn’t have done it without thinking about The Fool so much these past few days) but I’m having some faith that I can do what I need to do and that is actually a pretty good idea. So here we go guys - its time to trust our guts, to trust that everything is going to be ok, to trust that its ok to not massively over think everything and that maybe, we’re exactly where we need to be right now. Imagine that. p.s. I still miss cheese, its been over a year but boy would I love some halloumi right now! I also miss good chocolate, pastry, big macs and pizza (especially stuffed crust, omg).